What happens when you have to plan a travel in the last minute? Tickets for all the leading trains on your travel route would have been exhausted by now! Your Indian railway enquiry into seat availability will be met with only disappointments. 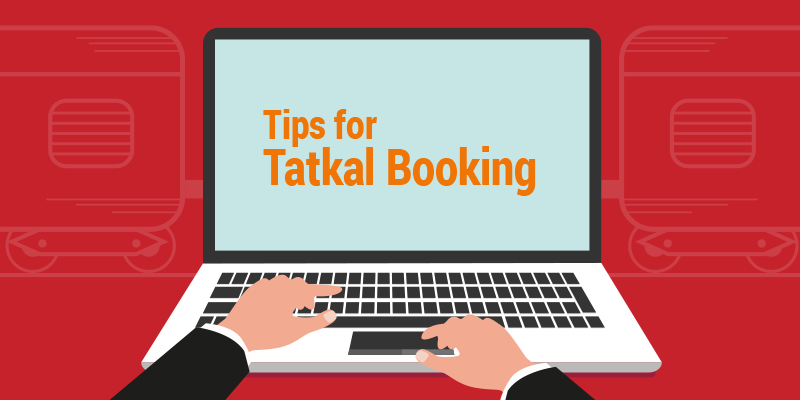 During such travel emergencies, the Tatkal booking scheme is a blessing for the passengers. Under the IRCTC Tatkal scheme about 7-10% of seats in any given train are reserved under this last minute travel quota. But having said that, while booking Tatkal tickets, you are vying against thousands of other travelers to secure a confirmed berth . During the short Tatkal booking time, the IRCTC website is flooded with visitors. And as a result, most users have to confront the 503 Error message. So, in a quest to simplify your train travel woes, we bring you some simple tips to book IRTC Tatkal tickets in a flash. Too many people make this basic blunder. Before entering into an IRCTC Tatkal booking session you should not only have an idea about your source and destination stations but also have their station codes copied and pasted on a Notepad file. Searching for station codes after the screen appears, will minimize your chances of booking the ticket. Before you login to the IRCTC app or website, make sure you have the passenger/s names and ages typed and ready to use. Every second you get after logging in should be optimized to the fullest extent. So, as soon as the Passenger details page appears you have to quickly copy and paste the details. In the next step, you would be asked for Berth Preferences and again there is not a single second to waste pondering. So, you have to be clever in this respect. If you select the lower berth, there is a high probability of that not being available. In such a situation you would be taken two or three steps backward. Now, that would make your chances of getting a Tatkal ticket slim. This is why, we would suggest you not to select any berth preference so that the process remains simple. Now that you have selected the train, class, and seats during the IRCTC Tatkal booking process the next step is to pay for the tickets. In the Payment Gateway, you would be asked for pertinent bank details. If you start the search for the Debit or Credit card once you are at the Payment Gateway, there are high chances of transaction failure, leading to the entire collapse of the process. Your session will expire and you will not get a second chance for Tatkal booking. So, have the cards and mobile phone (for OTP) ready beside you. So, are you ready to whizz past the labyrinth of Tatkal booking? If you have any other tips, please do share it with us. Nothing will happen if you do the above things mentioned. But sometimes even after filling the required data quickly the Railways Server doesn’t respond fast and by the time one is thru to make payment, the seats are not available…. ID proof is no longer necessary while booking Tatkal tickets. Please update . I think I’ve been cheated by the IRCTC. as I have booked a rail Tkt on 6th Sept 2016 for I n my fmly (4 persons) for 8th sept journey, which was not confirmed till 7th sept 2016 (16:00 hrs) showing WL-4,5,6 & 7. So under circumstances with no other choices left, I decided to book again go for the same (means same train same deprture time etc) but in “Tatkal” & got succeeded at the 1st attempt with no delay. This means the IRCTC is there to grab money of the innocent & first time users who r left hanging with no other choice else then to book it as “Tatkal” with paying extra rs-100/- for each ticket. This means looting Indians by the Indians. Bravo team IRCTC……….keep it up. With respect to modi Ji’ s words “Achhey din kab Aayenge bhaiya”. You’re not cheated. That’s how it works. Irctc reserves few seats for total in all trains. These tickets are not general tickets. These are taka tickets. Both re different. So if u book general ticket in waiting list it won’t be confirmed in tatkal quota. It’s misconception. So you’re not cheated. That’s how the system works. Actually when the booking strarts that very time it reserve the Tatkal quota and other so many quota tickets so far my knowledge goes. So it happened and when the quota not fulfilled then the WL tickets upgraded to RAC or RAC to confirmed ticket. Over and above Indian railway now plans to do premium loot from indians by introducing Ola cab type pricing in the form of Spurt pricing as if first tatkal and then premium tickets were not enough. We poor indians what can we do but to just sit and tolerate this looting by our own country. There are limited no. of seats available to general public because of several quotas like Tatkal, senior citizens, armed forces, VIP, MPs, cancer patients, Ministry quota, thus general quota gets full first and we are shown WL. Tatkal is the cash cow of railways. It opens just 24 hrs in advance. Some quotas gets filled at the time of charting. Railway makes money in a discreet manner, it informs you in advance through notifications and you have no choice but to abide by the rules. Common man is always at the receiving end. to Indians, alas it is cheating..
Let us clarify the point here. RailYatri is an independent organisation not associated with Indian Railways. So, while we think you have a valid point, we cannot be the ones to implement such a change. You have to raise this point at IRCTC or other relevant Railways forums. Thanks for reading our Blog, do return back for more such information. Idproof is not a mandate for tatkal booking nowadays. Also, getting 503 error is no way related to any of the tips that you mentioned above ? In addition to the tips for Tatkal Booking it often happens that the credit/debit cards also creates problem for authorisation. So my suggestion is to use E Wallet of railway for quick payment. The best way for quick booking is to go to ‘MY PROFILE’ and make the ‘MASTER LIST’ of passengers for whom you are likely to do bookings. 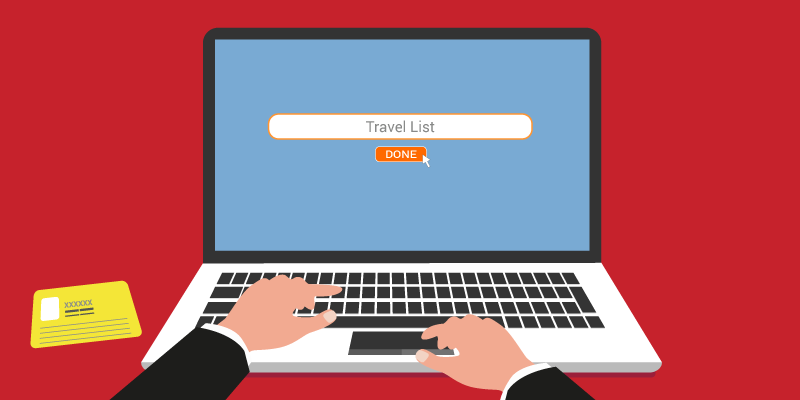 From this ‘MASTER LIST’ make a ‘TRAVEL LIST’ in advance which contains list of passengers for the specific journey for which the booking is going to be made. At the time of booking just choose the travel list and then click on ‘ADD TRAVEL LIST’. In this way you will be able to add the entire relevant details of up to a maximum of 6 passengers permissible per ticket with just one click. Yes, we share your concern and we would be writing a post about it shortly. So, keep following our blog. When Indian Railways has started Surge Pricing for Premium trains, why are they not refunding money for delayed Premium trains? Most trains including Rajdhani are delayed in NFR. Why during the tatkal time shows that you are allowed 2 tickets and doesn’t allow to book even 1 while I didn’t book even 1?????? What should I do to book Tatkal ticket from rail yatri Apps ? And If possible how to transfer money to agent? And how much sure that Tatkal conform ticket will get? I was booking for tatkal tickets online and was unaware of the procedures, so i ended up not doing it. This blog helped me to go with the procedures and finally i did it. Thanks for sharing the blog it was very usefull. Thanks, Anubhav. We are glad that the blog was informative and helpful for you. Keep reading stay updated with us. Regards. Why railways are allotting such a high number of waiting list tickets? It should be limited, so that travelers don’t book waiting list tickets hoping that it would be confirmed on the date of journey. As per my personal experience waiting list numbers over 30 never get confirmed. The point mentioned is really good. But you can always check the Confirmation Probability of your wait listed ticket (before booking) with the Railyatri app or website. This will help many travelers like you take an educated travel decision with time in hand. Do check our Confirmation Probability feature. Hi you are tell me a great information. However, other than the agents of IRCTC network, no one gets confirmed ticket for Tatkal. Last year I tried to get a Tatkal ticket and failed. It is a big waste of time. If all the prosidure done for booking tatkal ticket we just late for payment so our booking will cancel or we try again.we were not cancel all steps. We were only in payment page. How many tatkal ticket book one time. Great details shared, nice blog.